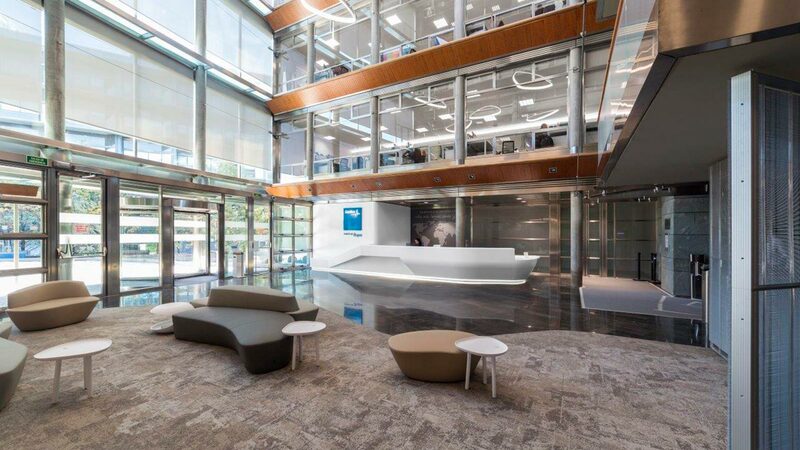 The architects Francisco Vázquez, Carlos San Valentín and José Moreno, members of the 3g office studio, were finalists at the 11th Porcelanosa Awards in the Professionals classification. 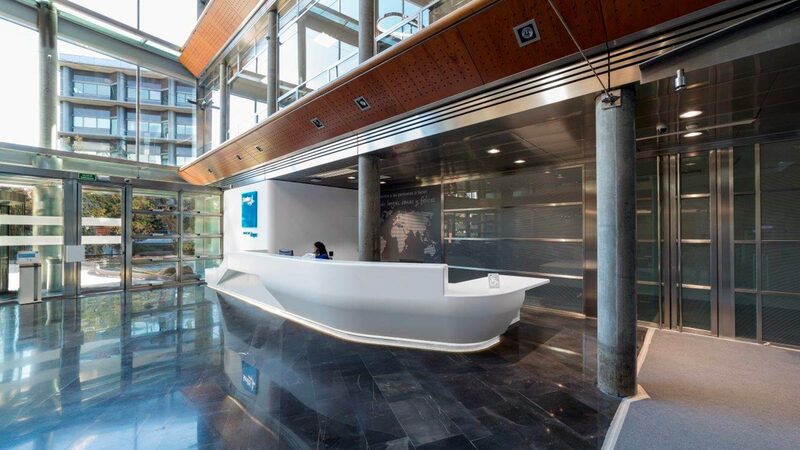 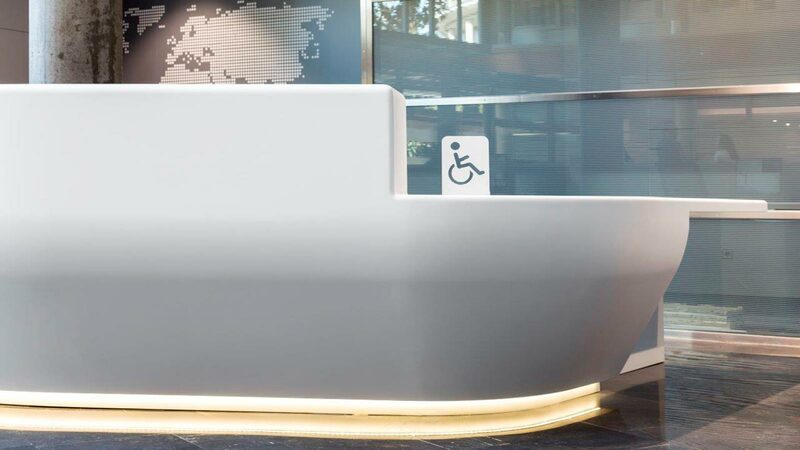 The malleable qualities of the KRION® mineral compact have made it possible to create a continuous dynamic space with a monolithic reception of soft lines in a white matt.Its counter is 10 metres long, resulting in a unique piece which is illuminated in the lower part by LED lights. 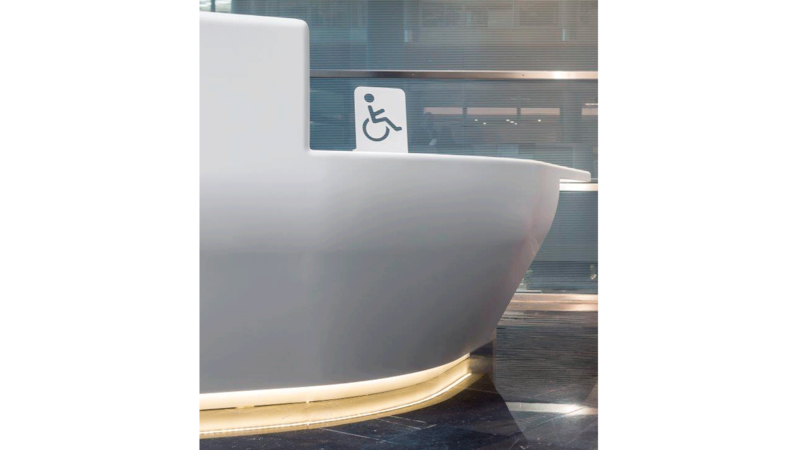 Sustainable technology taking care of design in very precise detail.The use of the KRION® Snow White 1100 gives this project some properties, such as: the resistance to bacteria and fungi, a high level of fire-resistance and great mechanical strength. 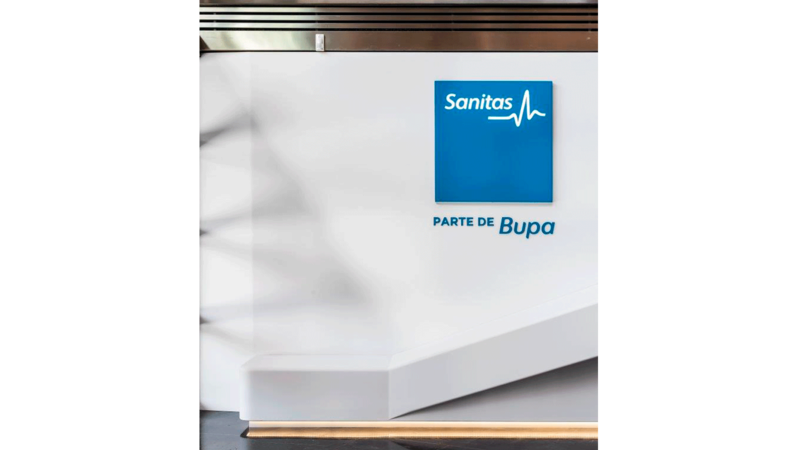 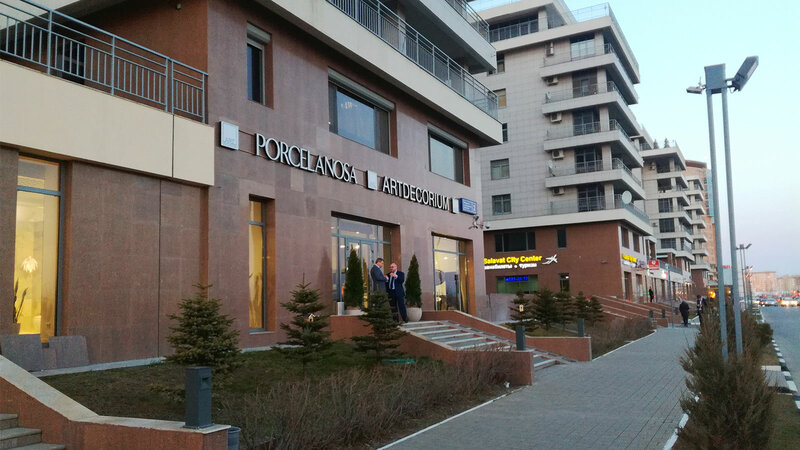 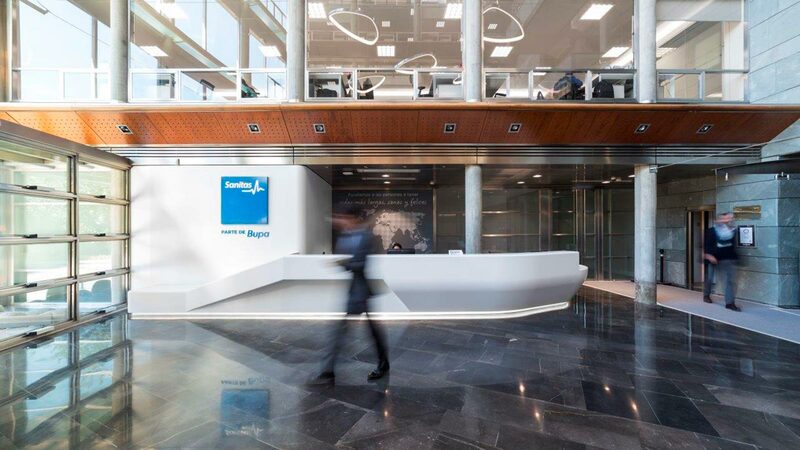 As well as that, its easy maintenance makes it become a practical solution for high-traffic projects like this one.Lightweight design, almost laminate, which projects Sanitas into the new solutions which are demanded by the healthcare sector.